In the early 1900s, Captiva was truly a “tropical paradise,” populated by select families of inhabitants who were adventurous, courageous, hard-working and hot weather loving — the first and second generations of American founders of the island. 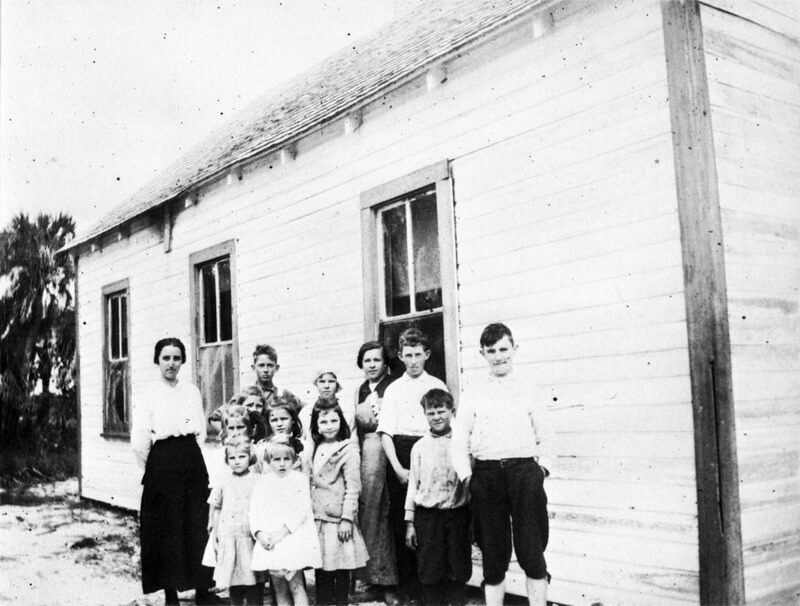 As the first pioneers of Captiva began to have families, educating the children became an important “civic” issue and in 1908, a one-room schoolhouse was built for reading, writing, arithmetic and more. The site of that school is where today’s Old Captiva House resides. Both ‘Tween Waters Island Resort & Spa, along with Old Captiva House, have been designated Historic Landmarks by the United State and Lee County. As a result, as Old Captiva House is nearing completion of its historic re-creation in kitchen facilities, amenities and restaurant décor, certain aspects of the structure have been preserved. However, as a grand opening nears this May, the new Old Captiva House will inspire diners both with its stunning visual appeal, as well as the outstanding, mouthwatering culinary delights that Executive Chef Greg Nelson and his team will be creating nightly. We encourage you to follow us here, as well on social media including our Facebook page, for exciting announcements, sneak peaks and other treats awaiting Sanibel, Captiva and Southwest Florida at the all-new Old Captiva House. We can’t wait, and we know our many fans and followers feel that same way. Stay tuned! The new Old Captiva House: Coming soon to a legendary beach resort near you. More than 110 years ago, Captiva Island’s first schoolhouse welcomed its first class of children to a small, one room white building perfectly situated between the Gulf of Mexico to the west, and Pine Island Sound to the east. Some 20 years later, in 1926, that building served as the site of the first “recreation destination” on Captiva — a fishing camp where sportsmen followed the lead of President Teddy Roosevelt and enjoyed waters rich with tarpon, redfish, grouper, snapper and other delights (not to mention remarkable nature, from dolphins to manatee to gators, as well as breathtaking natural beauty). Five years later, ‘Tween Waters Inn welcomed its first overnight guests, and a restaurant called Old Captiva House served to satisfy the appetites of those guests. Sometime in the next few weeks, ‘Tween Waters Island Resort & Spa will celebrate the grand re-creation and opening of the new Old Captiva House — a stunning realization of architectural style and grace, coupled with one of TripAdvisor’s top Captiva menus, in a remarkable beachfront location that is, in fact, recognized on the National Registry of Historic Places. With such a designation, the architects and visionaries of the Old Captiva House were required to retain and respect certain aspects of the original, historic structure. Upon its much anticipated opening, guests will find a breathtaking transformation of one of Captiva Island’s classic restaurants (with an all-new in-house bar) — true in some respects to its origins, yet contemporary in every other way. Parent corporation Sanibel Captiva Beach Resorts has funded this extensive project to more than $1 million — representing once again the corporation’s dedication to bring local, regional, national and international guests the very best vacation experience. In addition, an entirely new kitchen has been constructed in concert with the Old Captiva House re-creation — bringing a state-of-the-art culinary, creative setting for Executive Chef Greg Nelson and his team to dream big and delivery the biggest, best dining experience anywhere on Sanibel and Captiva Islands. Note: Old Captiva House also serves as a romantic, perfect reception option for brides and grooms who dream of once-in-a-lifetime beach weddings. Parent corporation Sanibel Captiva Beach Resorts has funded this extensive project to more than $1 million — representing, once again, the corporation’s dedication to reinvest in its product, with the goal of bringing local, regional, national and international guests the very best vacation experience — which of course includes an out-of-this-world experience in food, flavors, wines, desserts, decor, natural beauty, friendly camaraderie and fun. An experience you’ll want to repeat, again and again. Stay tuned, as the new Old Captiva House is coming soon to the Official Beach Resort of Captiva Island. You’ll want to make your reservations early, and often. Visit our website here for updates or follow us on Facebook here.